The founders of Priceline wanted to start a new travel service targeted exclusively to business travelers. 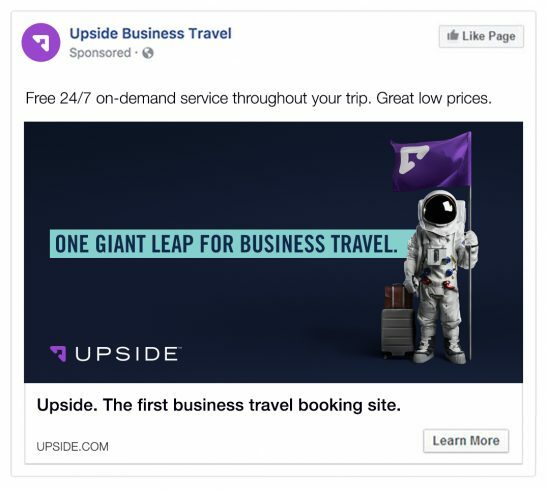 FLY needed to craft a launch campaign that not only connected Upside with business travel, but that implicitly promised real benefit to a business traveler universe that was used to fending for themselves. FLY also needed to craft a separate but equal campaign to be mounted exclusively in the pages of the Wall Street Journal for its eponymous travel service that touted a level of customer service usually associated with the corporate C-suite. Upside and the Wall Street Journal Business Travel Service have established an entirely new category in the online travel space, and have now booked tens of thousands of trips for business travelers worldwide.